Looks like Jesus is alive and well in Idaho, about 17.5km (10.9 miles) east of Boise. 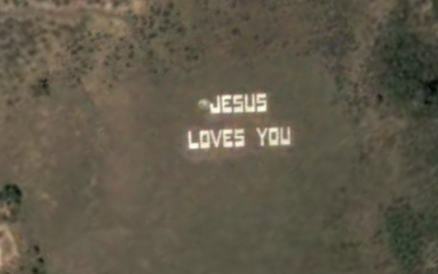 This is probably one of the largest "Jesus loves you" signs in the world. Each letter is about 9.5 meters (31 feet) long, some people obviously have way too much spare time. 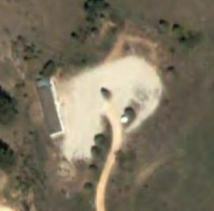 As far as I remember that area is owned by a youth group for retreats..... that's why you see it there. That is sure one way to get the message out there.. This is amazing! Thank you for the people who went through the time and effort to do this! I love Jesus so much and appreciate that there are people who are on fire for God! This is awesome! Jesus is alive and it is great to see people on fire for God! Analise (Austrailia Gold Coast) Great job!